We recently completed a project which had so many cool elements that we needed to share! 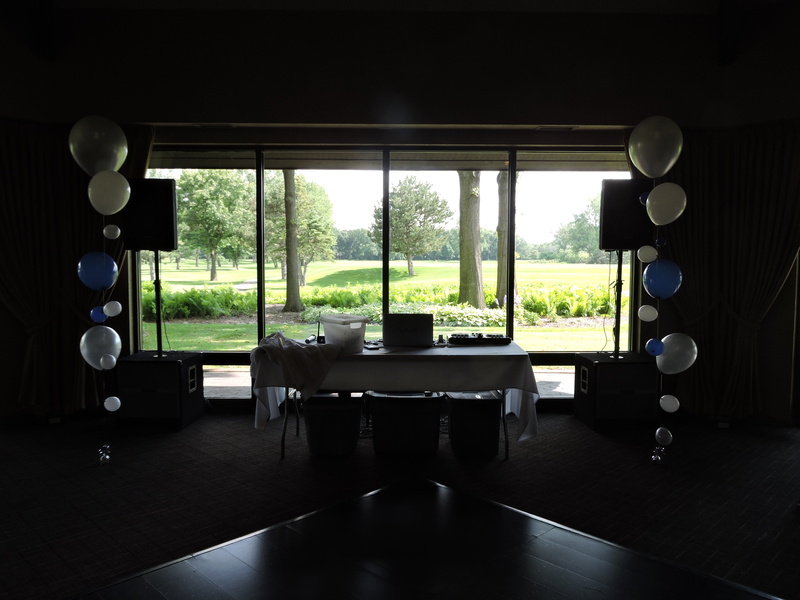 The venue was Briar Ridge Country Club and the customer was an event planner. 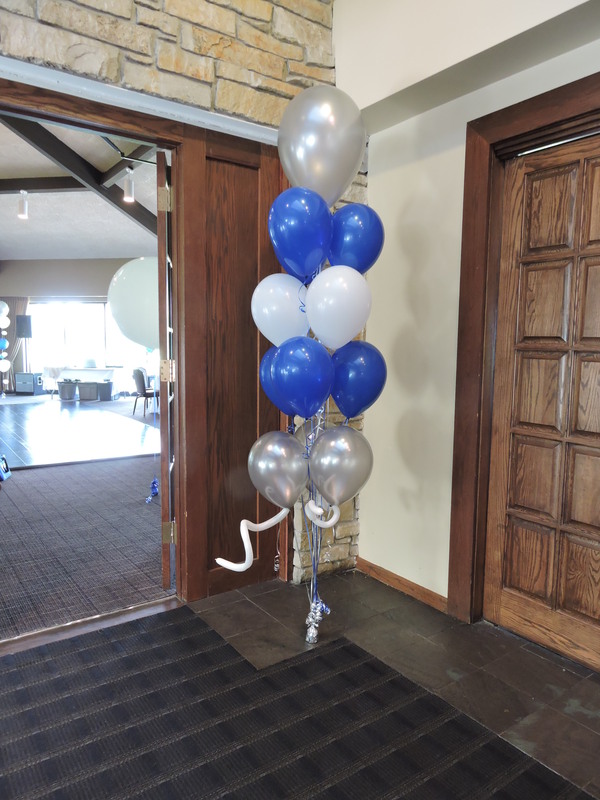 Unfortunately the lighting wasn’t that great…..but you can still see quite clearly the different sized balloons that make up these unique balloon strands. This design simply amazes everyone who sees it. Every time we deliver this design, we are asked for our business cards. So Cool! 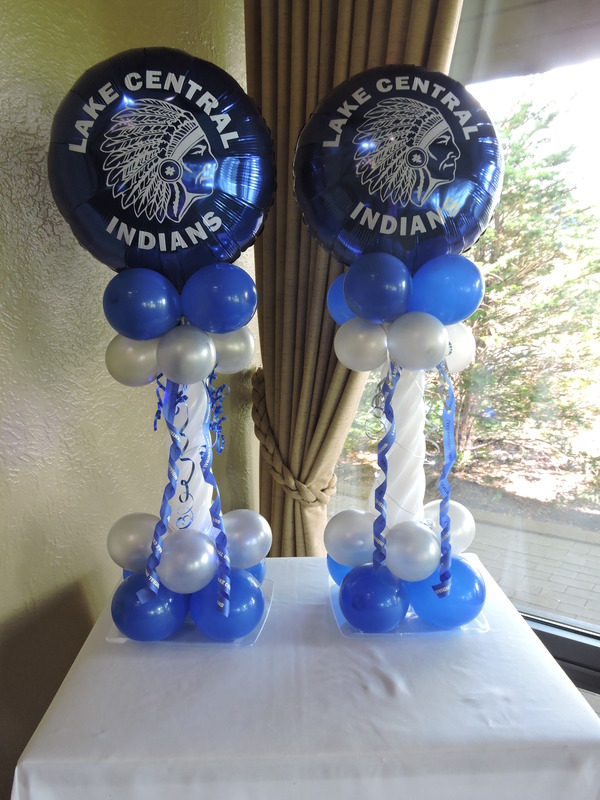 We used Lake Central Balloons for these two designs below. We also used Lake Central RIBBON. We sell the ribbon for $2.00 per yard. 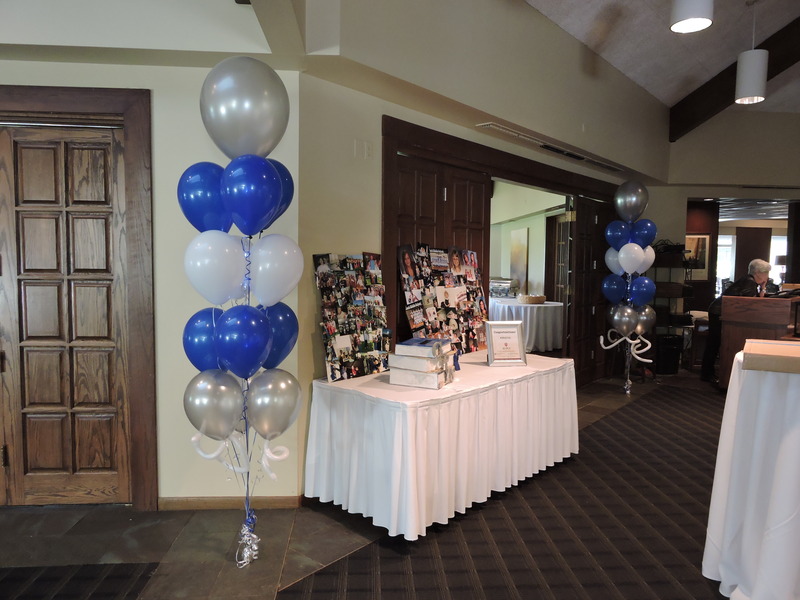 The customer chose FOUR of the bouquets pictured below for the lobby of the party. This design is simply stunning. The top balloon has a strand of sparkling ribbon which glows. When the lights are dim, the entire bouquet will glow. 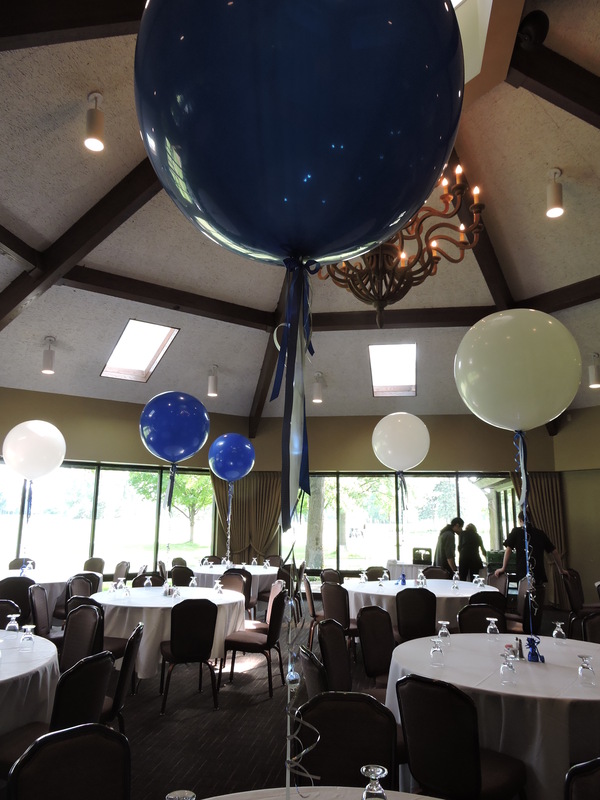 These AMAZING balloon centerpieces were so cool! We put strands of ribbon on the balloons for the customer as well as Sparkle Ribbon (strands of balloon lights). We LOVED this job! The finished project filled the space with color and style. 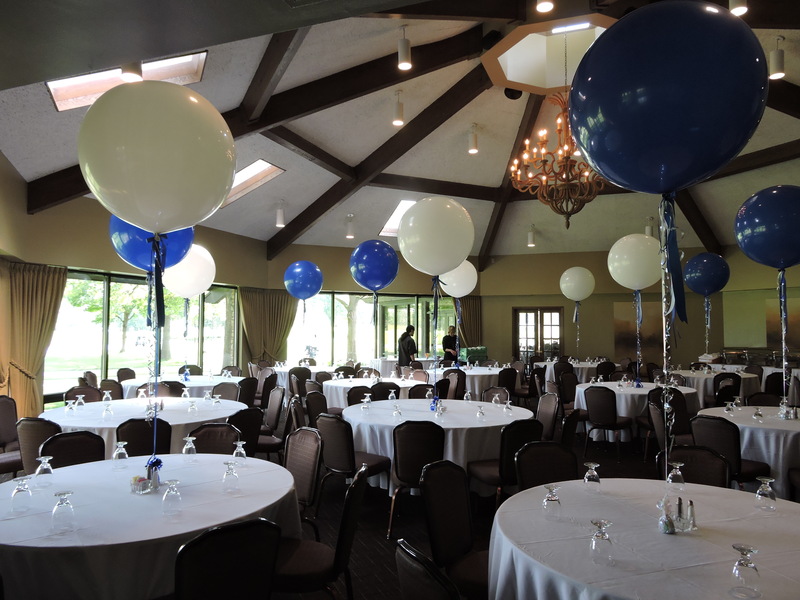 If you need help putting together the décor for you job, contact Amy at 219-322-7777. You can also e-mail at itsmypartydyer@gmail.com. 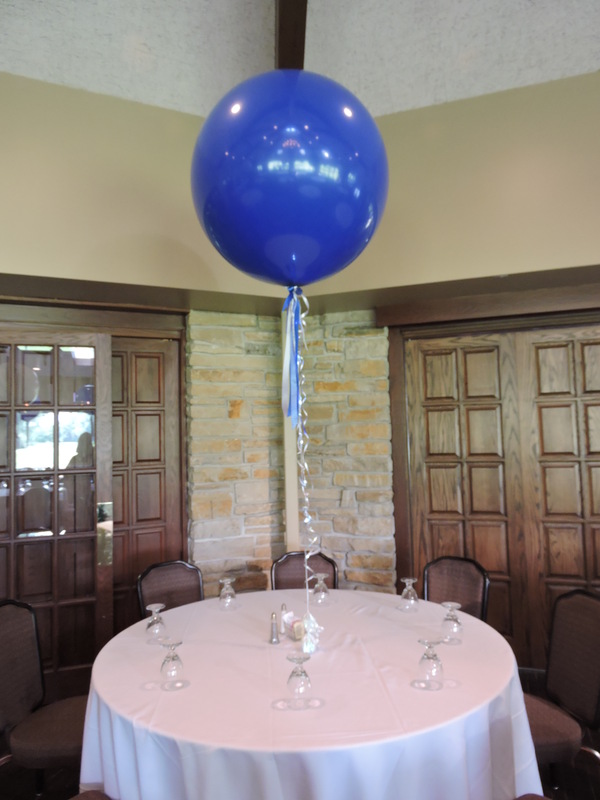 Visit our complete web site at http://www.balloonsatitsmyparty.com.